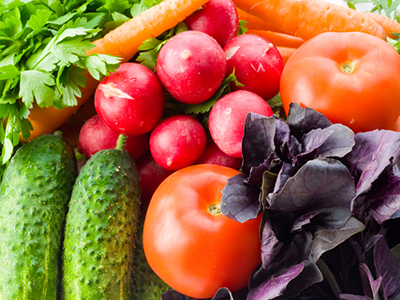 As the days get warmer and the nights get longer, what’s better than a delicious summer salad? This Green Goddess Salad is the perfect combination – crisp lettuce leaves and creamy dressing. 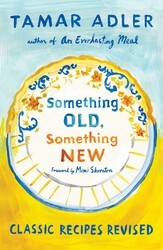 Try this recipe from SOMETHING OLD, SOMETHING NEW by Tamar Adler. Combine the egg yolk and mustard in a bowl. Very slowly whisk in the olive oil, drop by drop, until an emulsion has formed. Add drops of room-temperature water once the mixture becomes thick. When you have a good-tasting, slightly loose mayonnaise, add the herbs. Mash the anchovies with the garlic paste and add them to the mayonnaise. Whisk in the vinegar, tasting it on a leaf and adjusting the vinegar and salt. Toss the chicory with the dressing, drizzling it to the side of the bowl, adding only as much as you like. This perhaps depraved practice can be refined if you drizzle the sturdy leaves first with lemon juice, then lightly salt them, and roll each wedge quickly with a little dressing in a mixing bowl, before pouring an agreeable dollop over each on its plate. This trick makes things seem more combined. If you like iceberg but dislike buying lettuce from large companies, it is worth noting that a number of small farms, not named Foxy, have begun to grow the variety as smaller, less compact and industrial heads. Pair this delicious salad with the perfect roast chicken.